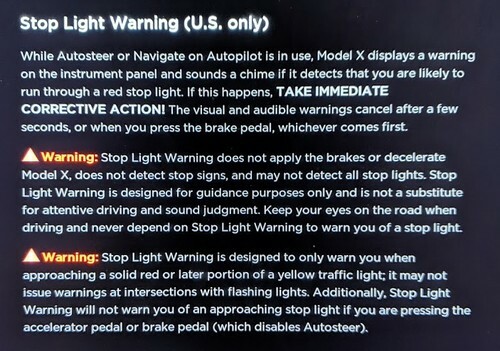 In one of the most recent software updates, specifically 2019.8.3, Tesla has begun rolling out Stop Light Warning capabilities intended to alert the driver as a last resort if a red stop light is detected and the driver has not taken action. Again, this is early software, is still being tested, does not detect stop lights in all situations and does not automatically brake. It only warns the driver as a last resort. 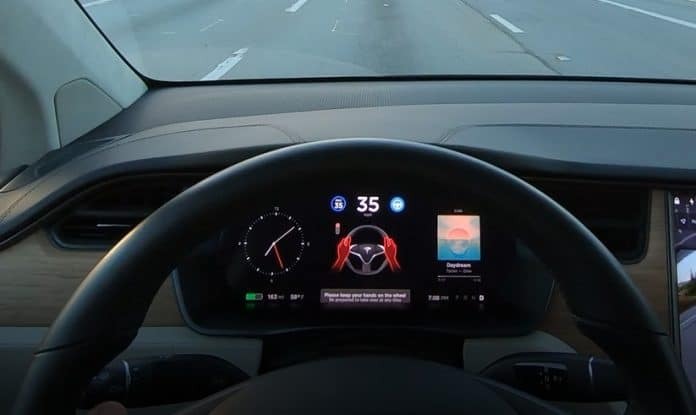 Tesla is working on a version of this that will allow vehicles to stop themselves at red lights and then resume once they turn green. In April, Elon stated that his development version of the software currently does this. See the full Elon Autopilot Interview here.